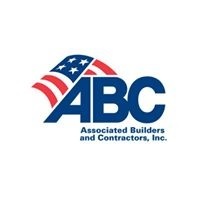 LONG BEACH, Calif., March 23 – (RealEstateRama) — ACI Mechanical Inc., Ames, Iowa, has been named Associated Builders and Contractors’ (ABC) 2017 Contractor of the Year, an award that recognizes companies for their corporate integrity, commitment to safety, professional development and expert craftsmanship. President Mike McCoy accepted the honor at the 28th annual Excellence in Construction® (EIC) Awards gala on March 21 during ABC Convention 2018 in Long Beach, Calif.
ACI Mechanical’s team of engineers, project managers, skilled welders, pipefitters, sheet metal mechanics, service technicians and support staff is led by the executive team of President Mike McCoy, Director of Project Management Kent Meyn, Director of Engineering Greg Braga, Prefabrication Manager Shon Smith, Production and Training Manager Chris Kayser and Human Resources Coordinator Laura Sundine. As a founding member of ABC’s Iowa Chapter, ACI Mechanical’s executives also have served as chairmen and board members at the chapter and national levels, while encouraging local and national political engagement to support important merit shop candidates and causes. With a solid safety record and an experience modification rate (EMR) under .65 for more than five years, ACI Mechanical has received dozens of industry safety awards through its commitment to ABC’s STEP program. The company also sets itself apart as an early adopter of prefabrication, BIM and 3D technology for enhanced jobsite communication and visualization, leading to efficient project delivery and a top reputation among clients. It is a three-time recipient of the chapter’s EIC Project of the Year Award and a frequent finalist and award winner on the national EIC level.